*Are you a student who often troubled with when and where the next class will be? *Are you a teacher who often troubled with different courses of different grades & classes? *Are you a parent who often troubled with that you would like to take care of kids while they are having exam but you do not even know when the exam is? Then Pocket Schedule is for you! Our Pocket Schedule is one of the best tools to track down all your courses, classes and assignments. Once you use the app you will want nothing else to make your school life easier. ORGANIZE COURSES, CLASSES & EXAMS You can easily input and manage your courses, classes and exams. All your classes will be displayed in a week-view within the schedule module. You are supplied with a set of icons for your courses, and the icons will be continually updated in every upgrade version. By the way, you can cancel separate class in case of emergency events. MANAGE ASSIGNMENT Kinds of sections are designed to track down all your assignments easily and intuitively. You can either organize your assignments by date, by course or by priority, or sort them by completed or uncompleted. 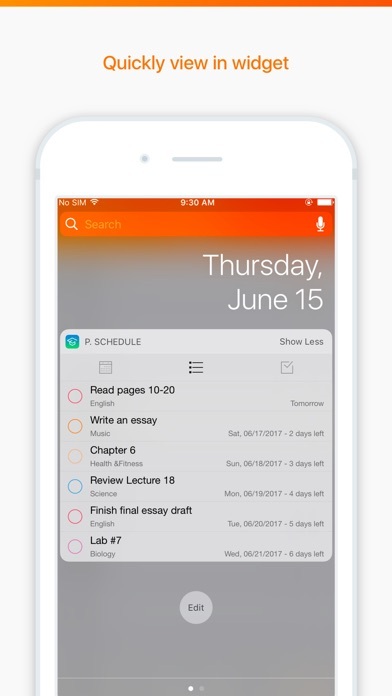 KEEP YOU ALERT Powerful notification feature makes sure that you will never miss even one class or assignment. 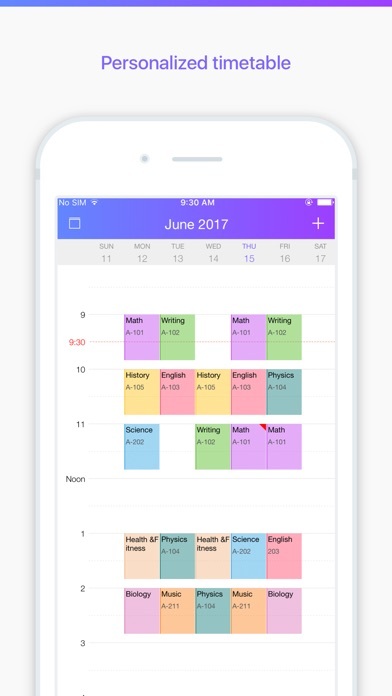 The app allows you set general notification of all classes and separate alarms of each assignment. FILLED WITH FEATURES -Easily manage different semesters and holidays. -Manage detailed information of all your instructors. -Add a course, exam or assignment easily. -Each course has a well-designed icon. -Sort all assignments into different sections as you want. -Done an assignment easily, just by one tap. -Today’s classes are shown in specify module so that you can get them intuitively. -Each assignment and class has their own notification. -All classes are shown in a week view, you can scroll to get the information you want so that you will not forget even one class. Download and start to use Pocket Schedule to make your school life easier. 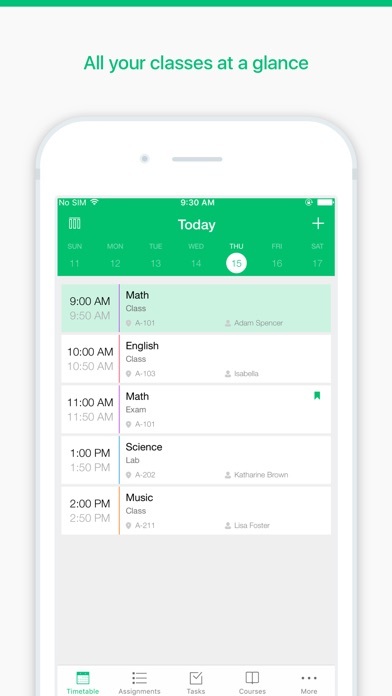 Think of Pocket Schedule as your classes, exams & assignments alarm clock. If you have any problems or suggestions please send a mail to schedule@bluetgs.com, and you will get the response in a short time. Love it, good for school assignments is that’s what you’re looking for! For lifestyle/ everyday tasks it not my favorite. Don’t rely on this app. The reminders are terrible, does not do what it says. This app was just not very good with reminding me of assignments or letting be know the deadline for a test/assignment. Honestly this app was just putting your schedule in something and looking at it. This app is not school material. As soon as my semester is over I will delete this immediately. I never write reviews, but i had to for this one. 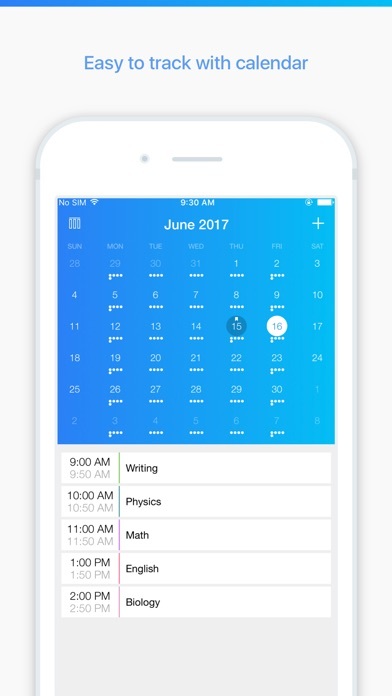 As a full time college student with two jobs, time management is super important and this app allows me to make plans for each day. I split assignments up into smaller assignments each day and its a great feeling to be able to mark them off at the end of the day. 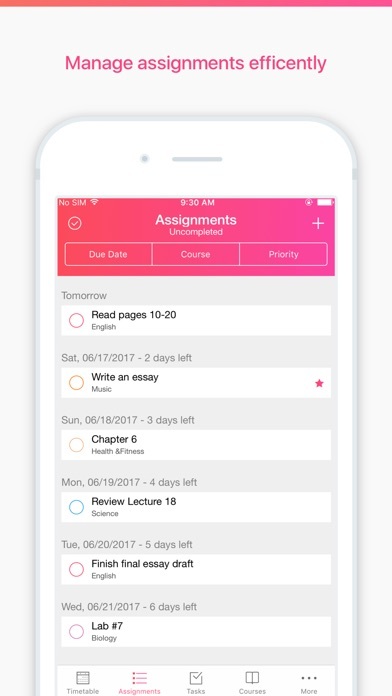 If you’re looking for a way to stay organized and ahead of your class work, this is the app! I rely heavily on a planner to get through school and I’ve been wanting to go paperless for a while. I think this a great homework planner and it’s super helpful. Only change I would make is that I would like tasks and assignments to show in the same page. When trying to sync the app through Facebook, the message "sync failed" appears, is there a solution to this problem? The app’s synchronization feature is currently broken, and Apxxy’s support is utterly useless - half the time my emails get rejected due to a full mailbox. DO NOT USE THIS APP until the functionality is resolved. I was very excited to use this app but after using it for a couple of weeks, there is so much to be improved .